Music is an art form whose medium is sound and silence. 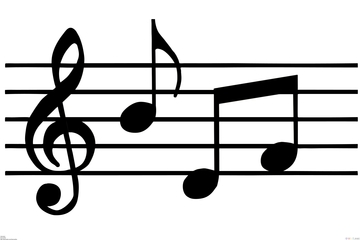 Generally, a song is considered the smallest standalone work of music, especially when involving singing. The common elements of music are pitch (which governs melody and harmony), rhythm (and its associated concepts tempo, meter, and articulation), dynamics, and the sonic qualities of timbre and texture. The word derives from Greek μουσική (mousike; "art of the Muses"). In its most general form the activities describing music as an art form include the production of works of music, the criticism of music, the study of the history of music, and the aesthetic dissemination of music.